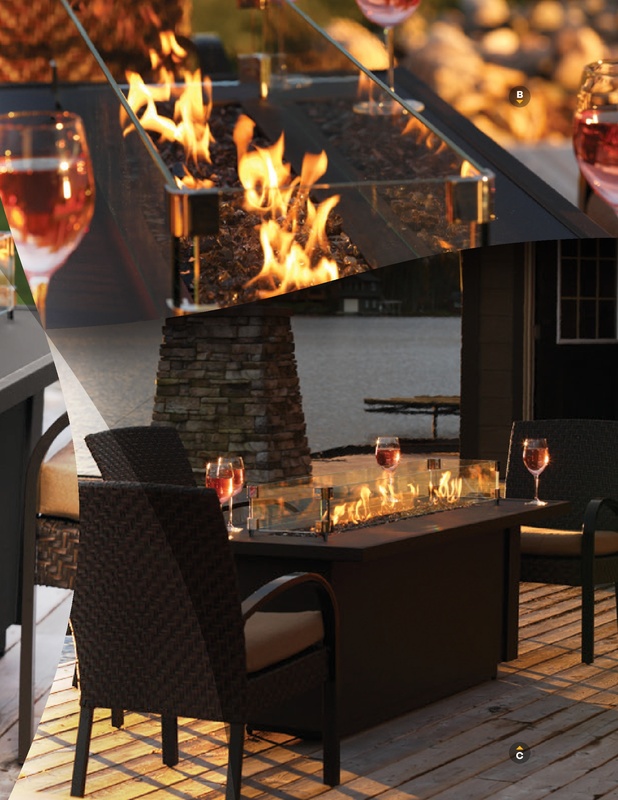 Use the link below to access the Barbara Jean Outdoor Fire Collection. Nights will never be the same with the new Aurora by Marquis. Designed for your outdoor oasis, this fireplace captures your attention with its Satin Coat Black or Stainless Steel Finish and your choice of a contemporary rock collection or log set. Looks like the stars in the sky now have a little competition. This is the perfect way to enhance the enjoyment of any outdoor space. Ideally suited for us on a wood deck or patio, Bola comes complete with lava rock and is fuelled by either natural gas or propane. Decorate your Bola with your choice of decorative stone, or five different colors of crushed glass media.